The Cisco CCIE Lab Builder allows you to run your R&S topologies in the actual CCIE Routing & Switching virtual environment. To access the CCIE Lab Builder you purchase a subscription package from Cisco of either a 100 or 500 hour subscription. You subscription time does not start counting down until you activate your lab. So you can spend all day building your lab exactly the way you want it and when you are ready to start using it, only then does your subscription time start counting down. Having already passed the CCIE Routing & Switching Exam Version 5 using the new virtual environment I can say that the look and feel of the lab builder is the same. It runs on IOS on Unix (IOL) and the response times are very good. The major advantage is the topology runs on the actual virtual environment that the CCIE Lab runs on. Now this in itself is not a major learning advantage because a router is a router if its running on GNS3 or VIRL or the Lab builder but some students do like the feel of the lab builder so when they attempt the lab the environment is much the same as it can be. You don’t need to book lab time. With other vendors you have to schedule lab time and at busy periods i.e over weekends you might not get access. The CCIE Lab Builder is available at anytime. Ability to configure up to 20 nodes. Pricing is very competitive with the major advantage that you can build your topology before starting the clock. As an example to run up a full scale lab with INE you need to purchase 8 tokens per 30 minutes. 1500 Tokens will cost you $645 so to run an INE full scale topology for 100 hours you will require 1600 tokens. This is over twice the price of running the CCIE Lab Builder. In INE’s favour you are probably better purchasing a training bundle that include rack tokens and they do regularly run offers of 50% off their tokens. I am struggling to find any disadvantages with this product but if I had to pick one it would be what happens to any unused time if your subscription time goes over the 6 or 12 month period. With other rack rental vendors your tokens last forever and can be used on other topologies. I am seeking an answer from Cisco on this and will update the post when I find out. How to access the CCIE Lab Builder. Access to the lab builder is very easy, you first have to decide if you are going to purchase a 6 month 100 hour or 12 month 500 hour subscription, buy it from Cisco and log into the site and start configuring. There are other cheaper options to running your CCIE Lab, by using GNS3 or building your own lab using CSR1000V routers. 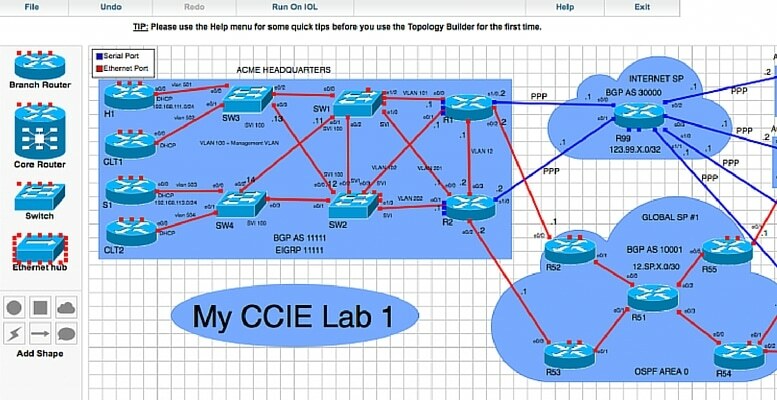 You have to decide on the best option for you, but in my opinion the CCIE Lab Builder is going to be hard to beat for access to the perfect training environment for your CCIE studies. My advice would be to use GNS3 for smaller topologies where you just want to practice with a few devices and when you want to get your hands on the L2 features and a larger topology use the lab builder. Think you missed a 0 from the 500-hour price! No the Cisco CCIE Lab Builder does not come with any workbooks – it is purely a virtual environment to spin up routers and switches. I will be posting up a video of my first impressions very soon. how does this compare to VIRL? I am trying to decide whether to use, virl, ine rack rentals, crs100v on esxi or this. Could you give me some advice on the best method (s) to choose? I have not used VIRL but it does give you greater flexibility of devices you can run and greater numbers. The CCIE Lab Builder will only run switches and routers up to a limit of 20. INE rack time is great but you are always fighting for the calendar. CSR1000v are great because they are free and you spin them up on your own server and GNS3 is great for spinning up a few routers on your laptop. My advice is if you are on a budget then try to do as much for free as you can. 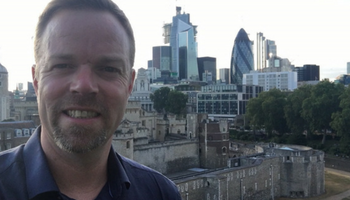 CSR1000v GNS3 etc. If you have a training budget then the Lab Builder will give you rock solid access to routers / switches whenever you want. Yeah i am keen to save money where i can. I can get VIRl through the university where i work so it may be a very cost efficient solution – i believe it now supports most of the features required. I’m not sure if VIRl would offer many advantages over simply CSR on esxi though?